Hi there! If you missed out the part 1 guide about COL 2 resources & battle system, here's the link! 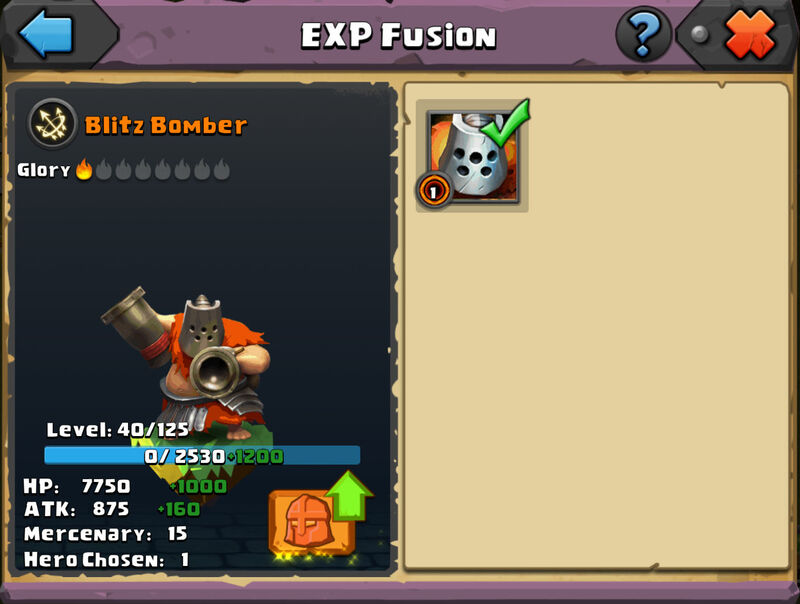 Every hero have different skills, effects and mercenary. Depends on what kind of strategy the players are playing on, you can group out a team of heroes that can easily take down a base, or may get owned before you even break through the walls. 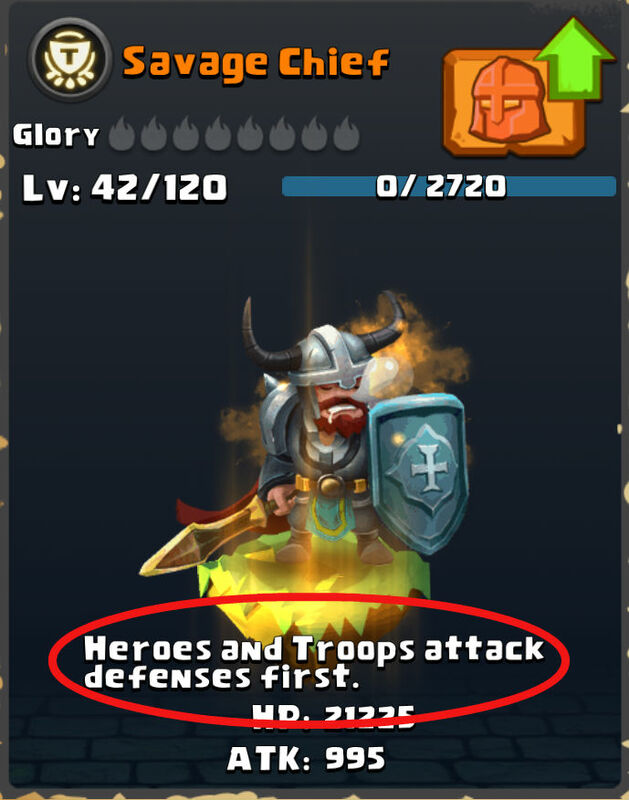 By spending gems, heroes can get unique passive skills ( Hero's talent ) as well! How do you recruit hero? 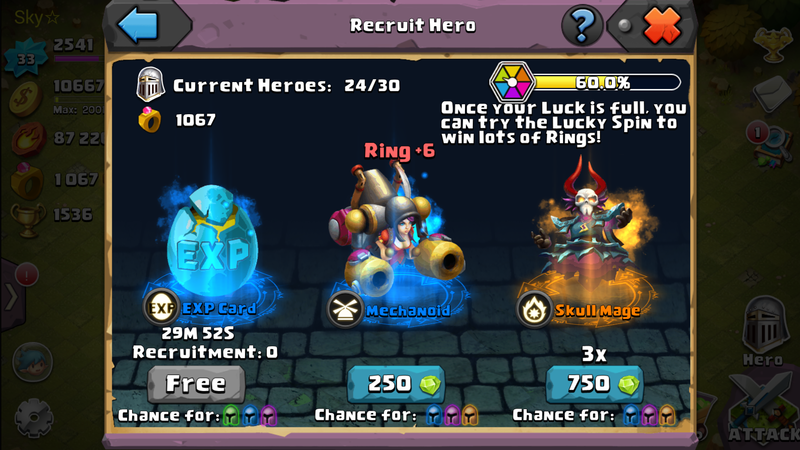 Well, to recruit heroes, there are basically 3 ways where 2 ways consist of comsuming gems. Do not worry about not being able to get an Epic hero your entire life! The good thing about this game is that many of it's quest and events give you lots of gems! Be sure to save it, and you will be able get the chance to roll some Epic heroes! There are many ways to get heroes! You can get heroes by playing Dungeons, Resource Raids as well as Lords League! 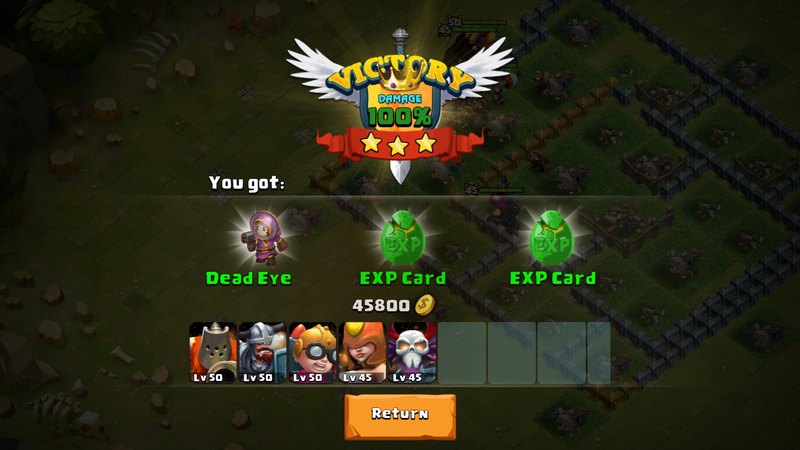 By completing each battle system, the chest rewarded will gives you chance of getting a hero! Get 3 stars on beating another player to get 3 chests! Epic heroes have something call the Glory! 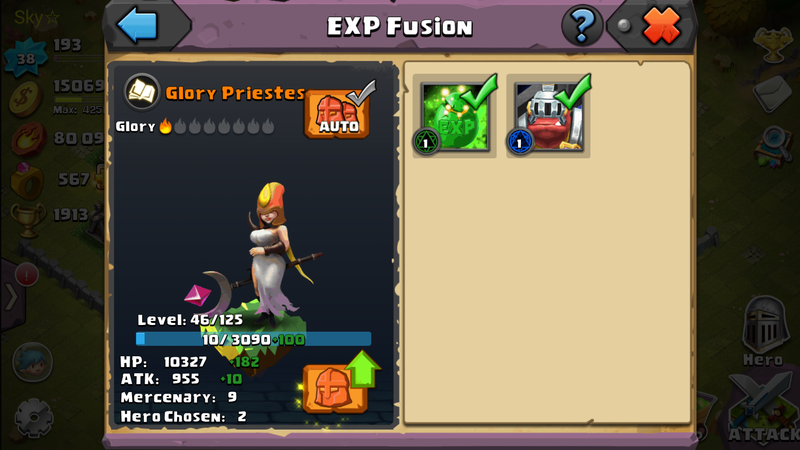 By fusing the same Epic hero, you will increase the glory flame by 1! The hero not only gets stronger, each glory flame adds 5 more max levels to the hero! What I've mentioned before, each hero comes with different skills, effects, and mercenary! I shall talk about skills first! Hero's skill can be a single target damage dealing, long range attack, a surrounding aoe ( Area of Effect), a long range aoe, mercenary & allies buff or even healing! You can read all about Hero's skill in this link below! You think that's the limit of your hero? You are wrong! Each hero can have up to 3 different hidden ability! You can call them passive skill or hero talents, which you unlock them by spending 300gem each! The skills and level of the skills are randomize! 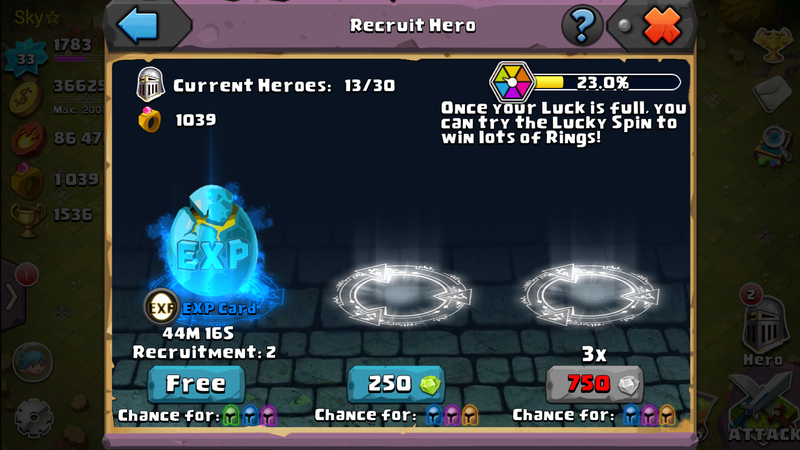 Don't worry if you did not get the skill you need, you can always reroll the skill by spending another 200gem! You can get the info of all the Hero's Talents in this link below! 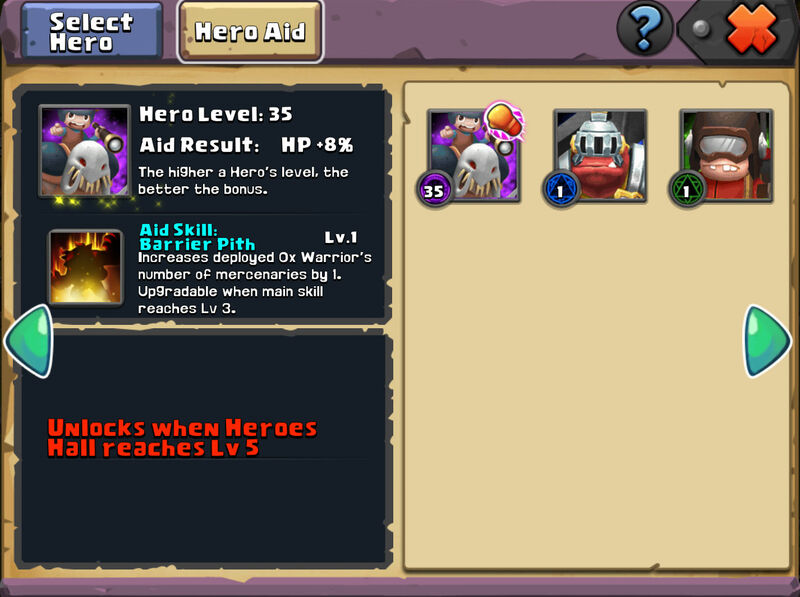 A system where you can add a secondary hero to aid your primary hero when the Heroes Hall are at level 3. At level 5, you can add 2 secondary hero to aid your primary Hero. Rare and Epic Heroes both have a unique skills call aid skills. Each heroes carry different type of aid skill. 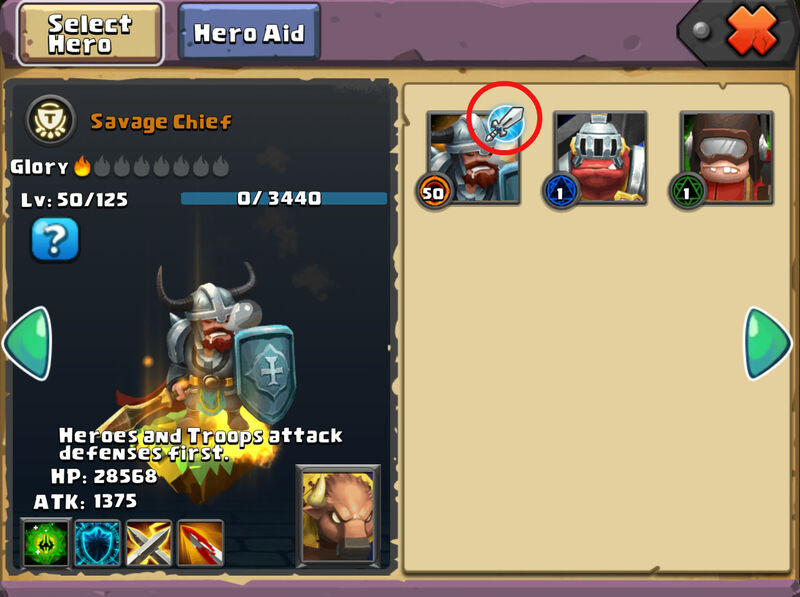 How to level up your aid skills depends on the level of your hero's active skill! You can find out more about hero's aid skill in the link below! 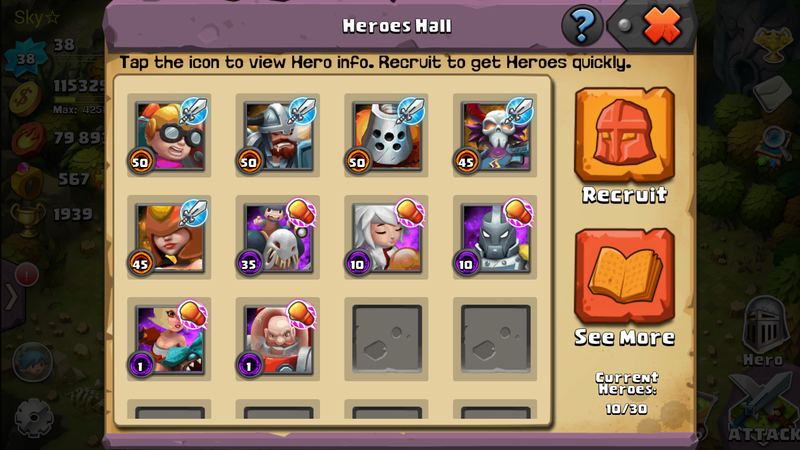 You can select or replace a hero by clicking the Heroes Hall and click "Select Hero".